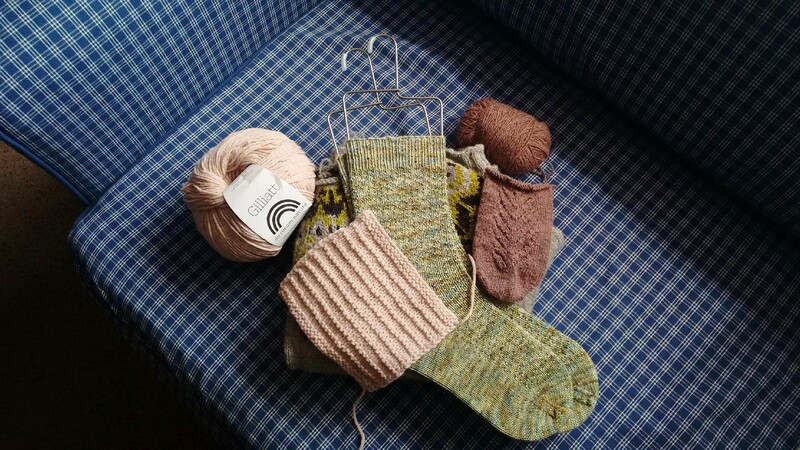 A blog about knitting, yarn, and everything in between. Happy Monday, fibre friends! In this week’s episode of Wool is my Bread I show off a previously unseen project – and it’s an FO! I also share my progress on my Threipmuir sweater and I dwell on some dream knitting. I hope you enjoy the episode and if you have any questions which aren’t answered in the shownotes below, please feel free to drop me a message or leave me a comment! This week I spent a bit of time helping out a local charity, Space2Create. It was great spending a couple of hours teaching the basics of knitting and definitely reminded me of how much I enjoy sharing skills, particularly fibre-related ones. I am due to lead a crochet workshop next week so hopefully that will be met with similar enthusiasm! I think that pretty much covers all of the main content this week, so until next time, happy knitting!